Inject your urban wardrobe with this comfy cotton tee from Billionaire Boys Club. 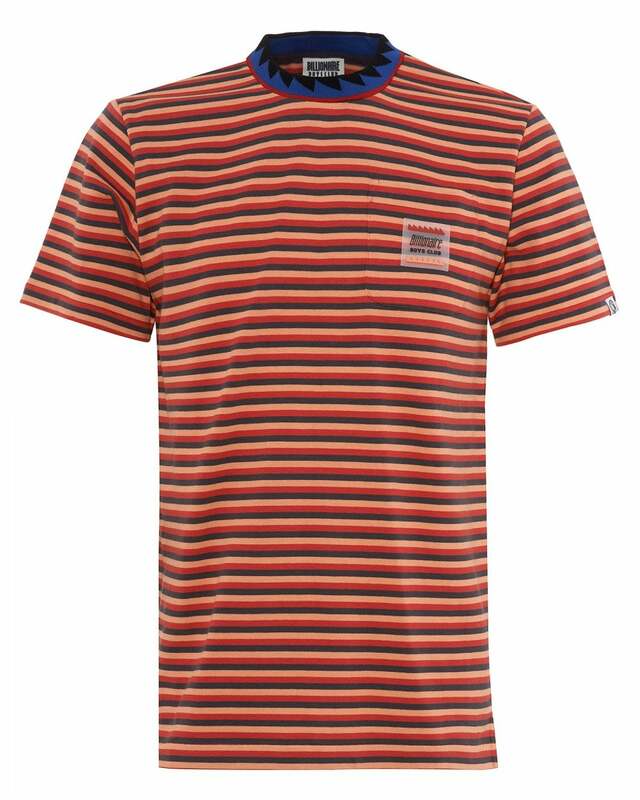 This t-shirt boasts an excitingly fresh design with its red stripes and contrasting neckline of blue and black tones. Add some sweatpants to the mix for the ultimate street style.